Greetings, Stefanie McLeod, and welcome to Austin & Williams. Stefanie joins our communications team as a junior copywriter. 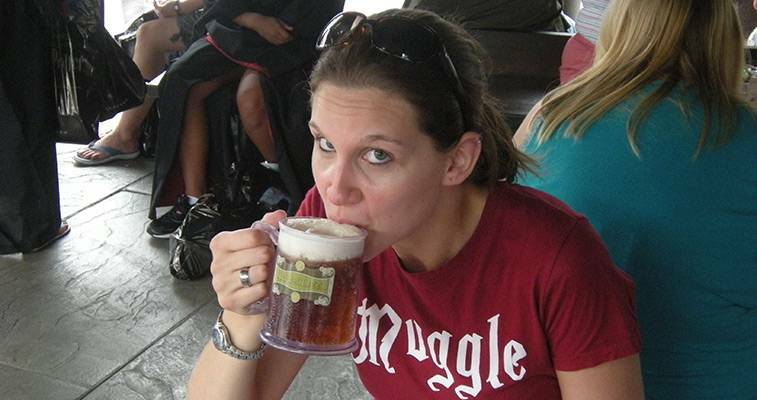 Stefanie enjoys reading and is a huge Harry Potter fan (that’s Butterbeer she’s enjoying!). She is also our resident movie buff; as a past Blockbuster manager you’ll want her on your team for movie trivia!